Athlete Management Systems – New Major Release! A new major release including a range of updates to enhance athlete data management are now live across all The Sports Office systems. Coaching, Fixtures and Medical are among the modules to benefit in this release, the first in a new quarterly release strategy. 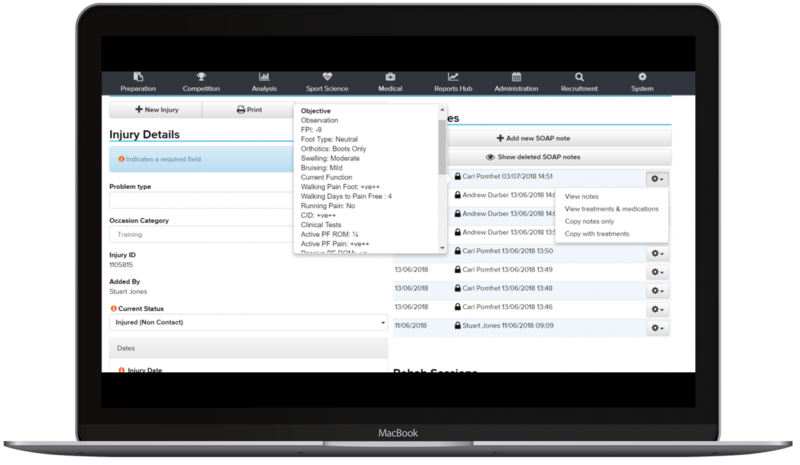 The Medical Dashboard now offers a faster method of inputting and copying SOAP notes and logging other medical issues. Users are now presented with a pop-up box to add the medical data. Amending previous notes on player injuries is also made easier. In addition, new customisable SOAP note templates have been created to aid information collection. Users can configure these for various body parts or for specific injuries. 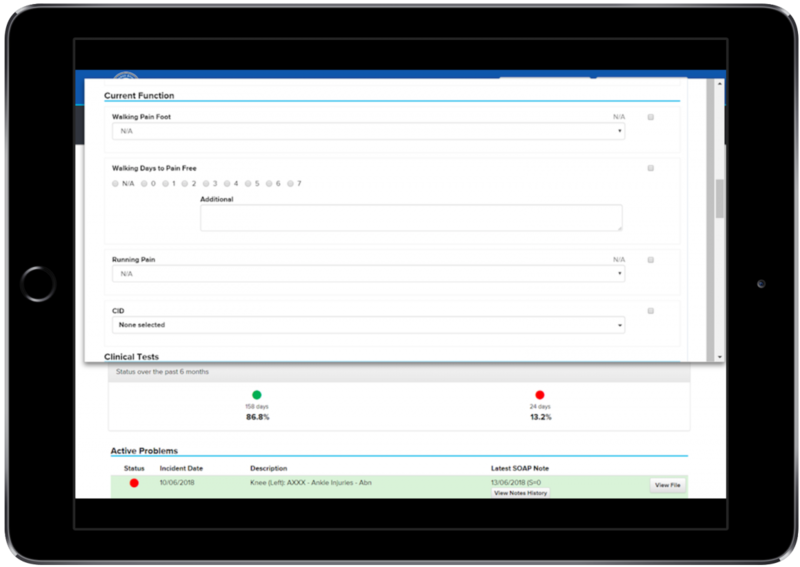 Also, a new option on the medical dashboard to view and copy a SOAP note quickly. New medical alerts functionality allows designated staff to be notified of any medical rules that have been created. For example, there is now an option to alert a specialist, if a player receives a head injury. Reminders can be sent to staff to add, delete or update medical issues. It is also possible to share notes with players by using the Squad Card view on the Squad Register. This creates a more streamlined communication process on the mobile app. Craig Bailey, The Sports Office Development Director, said: “This update offers our clients many beneficial new features to support their work in athlete data management. Craig added: “We believe our clients will gain ongoing benefit from each new major release and the features they introduce. We aim to support all updates with improved communication. This will include our social media channels, a new blog and tutorials built into the software. Any clients who require further assistance relating to the new system features, or wish to find out more about our cutting-edge Performance Management Software, should contact our Client Management team. Also, please follow us on social media. Find The Sports Office on Twitter, Instagram, LinkedIn for more insight and updates.